Horse + Party = Lawsuit? A West Virginia woman who attended a party is now suing her host because she fell while trying to get on the host's horse. She alleges that her host was negligent for serving alcohol and then offering to let her ride one of his horses. Never mind that she didn't even make it all the way onto the horse! This case is a great example of why every horse owner should have their social guests sign a liability release before they ride (or even come near) horses. If the plaintiff in the above case had signed a liability release in which she assumed the risk of horseback riding, her case would have been a lot less attractive prospect for plaintiffs' lawyers (many of whom work on a contingency basis). A sound liability release would also help prevent the plaintiff from winning her case, and would provide a good basis for the defendant to negotiate any settlement amount downward. The case is also a great illustration of why horse owners should consider having a homeowners' umbrella liability policy that includes horse-related accidents, and/or a horse owner's liability policy. Here, unless the party-host-turned-defendant had insurance coverage that will pay to defend him in this suit, it could cost him tens of thousands of dollars to defend himself against the plaintiff's claims. Finally, the case is also a good example of why living in a state with an equine activity statute doesn't prevent horse owners from being sued. 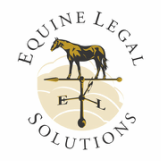 Here, West Virginia's equine activity statute actually spells out several affirmative responsibilities that are quite helpful to support the plaintiff's claims. For example, Section 20-4-3(1) states that "Every horseman shall make reasonable and prudent efforts to determine the ability of a participant to safely engage in the equestrian activity, to determine the ability of the horse to behave safely with the participant, and to determine the ability of the participant to safely manage, care for and control the particular horse involved." Because part of the plaintiff's claims depend upon the idea that the defendant made an unsafe activity even more unsafe by serving alcohol, the plaintiff is sure to point to this statute and allege that the defendant didn't fulfill his duties.